You were asking about the party in Bitburg ... so you have it! 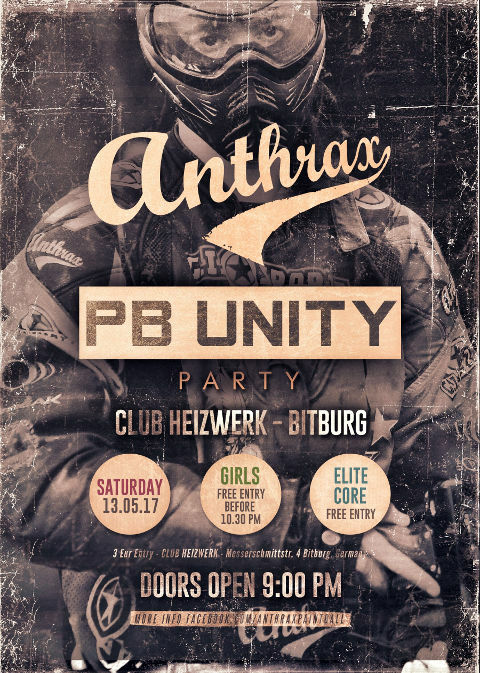 Anthrax Paintball welcomes everyone to Heizwerk Club in Bitburg starting from 9pm on Saturday eve (May 13th). You can check them at https://www.facebook.com/events/1270806193031632/ for more information. 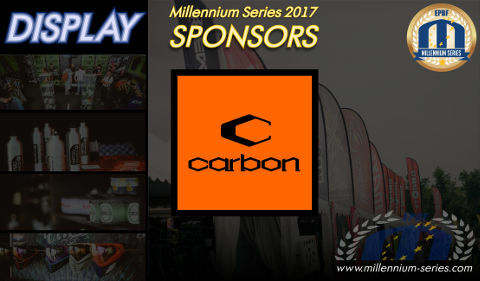 We welcome Carbon as our Display Sponsor! You can visit them at www.carbonpaintball.com to see their collection! 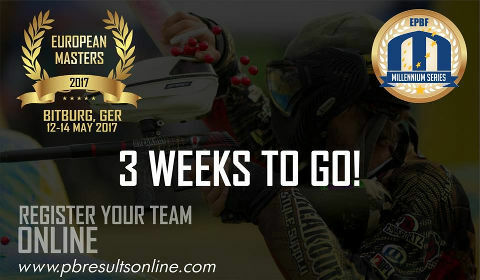 You still can register your team online at www.pbresultsonline.com/event/486/info Hurry up! 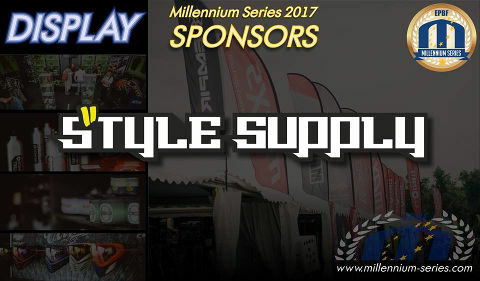 We welcome STYLE SUPPLY as our Display Sponsor in Bitburg! 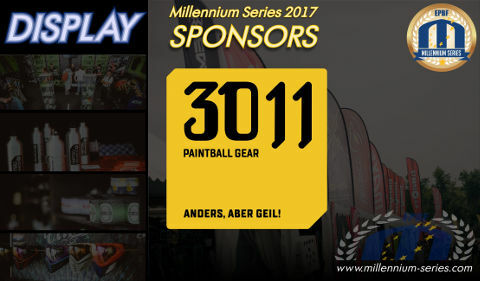 We welcome 3011 Paintball as our Display Sponsor in Bitburg! 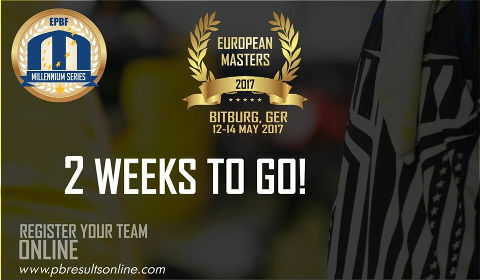 3 weeks to go ... remember, you still can register your team for participation! 2017 Players ID system: have you E-PASSES ready for check-in! If your e-pass is paid already: have your E-pass ready to check-in and get your wristband! NOTE: players will not be allowed to register until the team`s entry fee and training fee is paid in full. How to get the E-pass: To get an E-pass player should be registered on PB Results and should be added to the team roster. How to register: you have to create your player`s profile first. You just go to www.pbresultsonline.com at PB Results and complete their very simple registration form. This will work anytime even at location! Next step - registration on the event: prepare your E-pass for check in, sign in the liability waiver, pay your E-pass and get your wristband. Book your training session with the new system now! The booking option is available from the team profile at https://www.pbresultsonline.com/event/486/trainings. Remember, that team has to be confirmed for the event to have that option available. We are pleased to announce that the move to using of PB results is now complete - we welcome you to the future of event registration and team management! How to register your team online: simply create the new team account on www.pbresultsonline.com. If you have been registered in the MS EPBF system before: all the team managers will be receiving an email with manager account details to login at www.pbresultsonline.com. From the team profile, team manager can simply register a team by choosing the tournament and pressing the blue 'REGISTER' button. System will show the tournament info section with all the info about divisions available for registration. Register a team for several events simply by the checking boxes for each event! Team manager can fill the team`s roster by choosing event participants from the team members list. 'Event team roster' editing is available from the team account -> 'My Participation' section or 'Team Events and Results' section.